Overview of using the Woolich Racing Tuned software to edit various maps and settings including Fuel maps, Ignition maps, and RPM limiters. This short video shows you how to download, install and register for the free Woolich Racing Tuned (WRT) software, along with demonstrating how to access both purchased and free Bin File Definitions. This video shows how to use the Bin File Configuration section of the Woolich Racing Tuned software to unify fuel and ignition maps for easier editing. Install Harness according to the Installation Instructions. Connect the Interface to the harness. Connect the Interface to the computer with the supplied USB cable. Please note that we recommend using a high-speed USB port. Ensure Interface is in ECU flashing mode (red LED on). 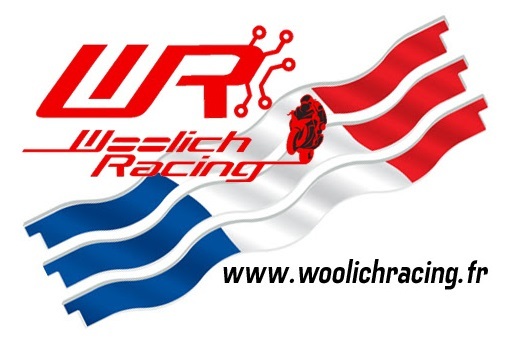 Open Woolich Racing Tuned Software. Open the bin file definition for your model (click the "New" button then select the manufacturer, model, year and part number). Turn the bike ignition on, gear in Neutral, Kill Switch in the RUN position or turn the power supply on for bench flashing. Click the "Tools"=>"Read ECU" menu item. The WRT software will connect to the ECU and read the bin file from the ECU into memory. N.B. If you are performing multiple flashes with a V1 & V2 Interface only, remember that you need to have cycled the interface into the center mode position then back to flashing mode before attempting another write/read operation. The V3 Interface requires the switch on the Right Hand Side at all times for Reading, Writing, Data Logging and Diagnostics. Connect the Interface to the computer with the supplied USB cable. Open the bin file definition for your model (click the "New" button then select the manufacturer, model, year and part number or click the "Open" button to open a previously saved bin file). Make any changes to the bin file. Click the "Tools"=>"Write ECU" menu item or click the "Write" button on the main form. The WRT software will connect to the ECU and write the bin file to the ECU, the progress is shown at the bottom of the Main Form. This video explains how to write to an ECU using the Woolich Racing Tuned (WRT) software. Special thanks to Joel Sym from MotoTune for producing the video. How to send Bin Files to Woolich Racing from within the Woolich Racing Tuned software. This short video demonstrates how to open a new bin file in the Woolich Racing Tuned software. It also shows the process of purchasing a bin file definition from the Woolich Racing website. This video explains the various ways that you can edit fuel maps in the Woolich Racing Tuned software, it also covers some of the various maps that are available in the bin files. What's the difference between IAP and TPS Fuel Maps? This video explains the various ways that you can edit ignition maps in the Woolich Racing Tuned (WRT) software. This video demonstrates the various functions available within the Settings of the Woolich Racing Tuned Software. Further information is available in the dedicated Settings section of the Woolich Racing Forums. This video explains the options available on the File Menu in the Woolich Racing Tuned (WRT) software. This video explains the various functions of the Account Menu in the Woolich Racing Tuned software.